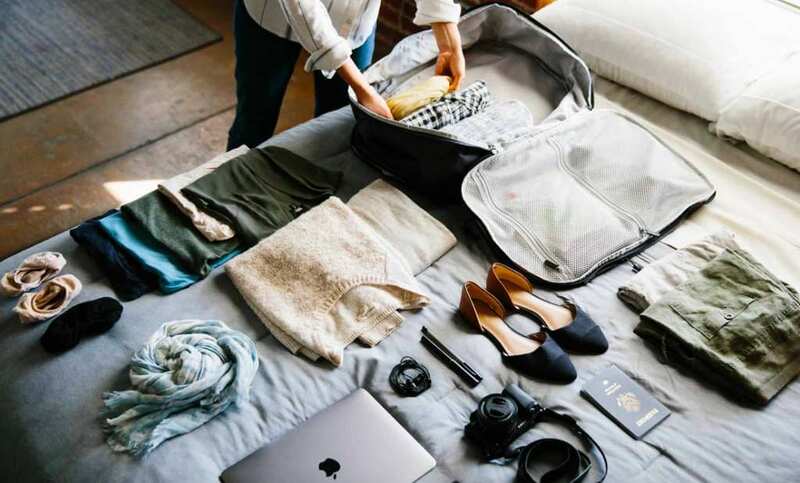 Whether you’re spending the night in another town or spending six months on the other side of the world, packing is an essential part of your preparation. It’s hard to know exactly what to take, and if eight outfit changes a day is enough. Some people – in fact, most people – are guilty of seriously overpacking, while the odd few end up abroad with three t-shirts to last six weeks. The latter, however, is arguably much more efficient, and we’ve compiled some reasons why packing light is the way to go. Many apartments and villas that people travel to actually have a washing machine. This is especially true if you’re traveling on a budget, or to multiple destinations, because you’re likely staying in studio rooms with their own facilities. In which case, why waste room in your suitcase when you could take a limited amount of clothes and just wash them? Think about it this way, more room in your case equals more souvenirs you can bring home! Even hotel complexes tend to have washing machines; you just might need to pay a small fee to use them. There’s nothing worse than being on a cramped plane or train, with a bag you can barely lift into the overhead storage. Dragging around a suitcase which weighs more than you do, because its full to the brim, can be a real pain in the neck, or in this case, your back. Not only will you struggle to fit your bag in storage compartments, and have trouble squeezing through crowds, but a bag full of unnecessary clothes can actually cause you quite the backache. It’s just not worth the pain, and risk of ruining your vacation, for the sake of a few more pairs of shorts (that you probably won’t even wear). When traveling light, you’ve only got the essentials, meaning that you’re much more aware of your stuff. If you leave your hotel room, you know if anything’s missing, because it’s hard to leave behind your shampoo if you only have five other toiletries – it’s pretty noticeable. It also pushes you to be more organized. You have to learn to prioritize and pack wisely, which can actually lend you a helping hand in becoming more practical and aware. Typically speaking, a traveler with many bags looks like a big spender. Someone with just one or two bags with just the essentials can seem as though they only have what they need, and as aforementioned, would notice anything missing. This can be a huge bonus for your safety, making you less prone to pick-pockets and people who might have bad intentions for your belongings. Traveling can be incredibly stressful when you’re trying to lug around fifteen bags, weighing 200 lbs, through a train aisle, or up twelve flights of stairs to your hotel room. Traveling light doesn’t mean you have to ditch all your fancy outfits, it just means you don’t take a load of stuff you were never going to use in the first place.